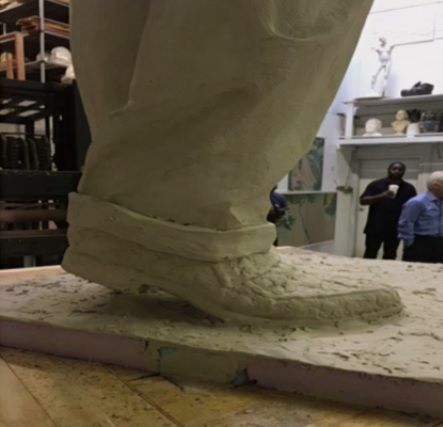 WASHINGTON — Nearly 3 years after Marion Barry’s death, a bronze statue of the legendary former D.C. mayor is taking shape, and photos released this week provide a sneak peak at what the memorial will look like.Pictures from artists at Weitzman Studios in Maryland show a full-body clay model of Barry smiling and waving, wearing a suit and snakeskin shoes. The model, completed last week, will be used to craft the 8-foot statue. 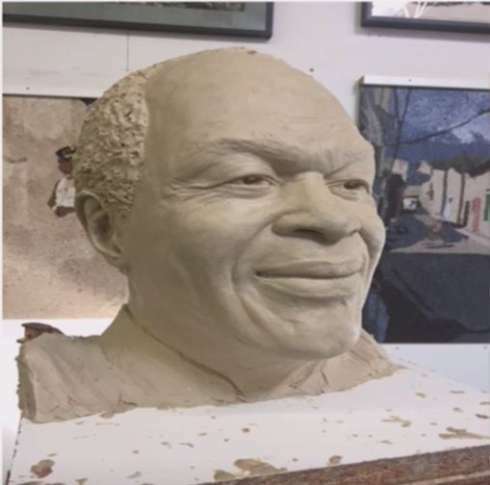 “The statue is intended to celebrate the life, accomplishments and contributions of Marion Barry,” said D.C. Council Chairman Phil Mendelson. He died in November 2014 at the age of 78. Council members discussed the memorial during a committee meeting Thursday and heard from executive director Arthur Espinoza with the D.C. Commission on the Arts and Humanities, the agency heading up the $300,000 project. 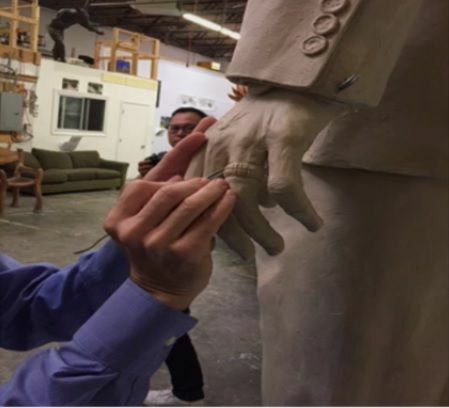 The whole process of creating the statue and putting on the finishing touches will take four-and-a-half months, according to Espinoza. When the entire statue is completed, it will be installed outside the John A. Wilson Building along Pennsylvania Avenue. The unveiling is set for March 6, which is Barry’s birthday. “I look forward to the day when there is a dedication of this statue to commemorate somebody who made such an important contribution to this city,” said Gray. Last year, a monument was also placed at Barry’s grave site at Congressional Cemetery.